Azure Blue, the celebrated solo project of Tobias Isaksson, captured the hearts of music lovers around the world with the debut album ‘Rule Of Thirds’ and promotional tour covering ten countries in the past two years. Tobias is a talented and renowned pop figure, having taken his initial success in Scandinavia with Irene and Laurel Music (both Labrador Records) worldwide. He is also a popular DJ in Sweden and internationally with merits including David Lynch's Silencio in Paris and Bi Nuu during Berlin Music Week. ‘Rule of Thirds’ received astounding critical praise, winning a Swedish independent grammy—the Manifest award—for best pop album in 2012 and enjoying exposure on both Swedish national TV and Spanish national radio. Among the outstanding reviews for the album, The Line Of Best Fit (UK) called it “nostalgia fuelled pop harking back to the heyday of Factory Records,” while Blurt Magazine (USA) named it “the best electro-pop record in recent memory." 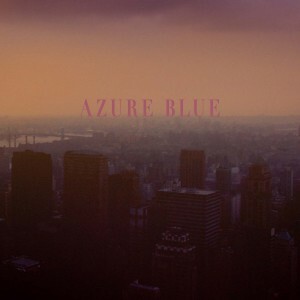 Azure Blue toured extensively on the back of the success of the debut, across Europe in 2012 and taking in a live North American debut at the New York City Popfest in June of this year. Endorsements from other artists include Erlend Øye (Kings Of Convenience), The Pains Of Being Pure At Heart (who invited Azure Blue on tour across Europe), The Sound Of Arrows, and The Drums, among others. The sophomore Azure Blue album ‘Beyond The Dreams There's Infinite Doubt’ builds on the tremendous success of the debut album with highly personal and deeply romantic songwriting bathed in especially polished production. Lead single ‘The Road I Know’ has been described as “a cacophony of vintage synthesizers battling for attention over a bed of whiplash electronic drums, all toned down by Tobias Isaksson’s romantic, softly delivered vocals.” The song is incredibly melodic and majestic all at once and recalls the magnificence of the Pet Shop Boys or New Order at their very best. Among many album highlights, opening track ‘Time Is On Our Side’ showcases Tobias’ elegant, warm vocals set to ambitiously sweeping instrumentation, while ‘Willows and Pines’ displays a downbeat splendor of captivating electronica and ‘Sunset’ is a hypnotic and especially ebullient masterpiece that sparkles in all the right places. Azure Blue perfectly documents a romantic searcher struggling to remain a modern gentleman in the ever changing world of pop culture, and ‘Beyond The Dreams There's Infinite Doubt’ is another intelligent, rich, and timeless record for the masses.